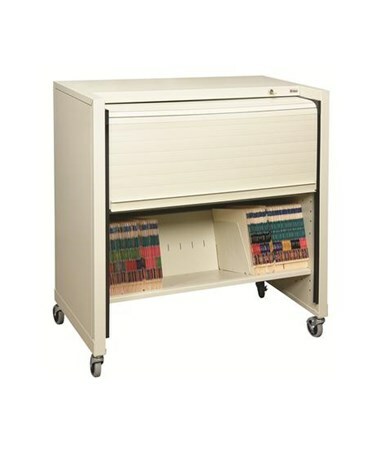 Retractable locking tambour door provides HIPAA-compliant security for your medical records and other items. Two angled letter-size filing shelves with 4 fixed dividers. Sturdy top doubles as a convenient work surface or work station. Decorative steel end panels for sleek, finished look. 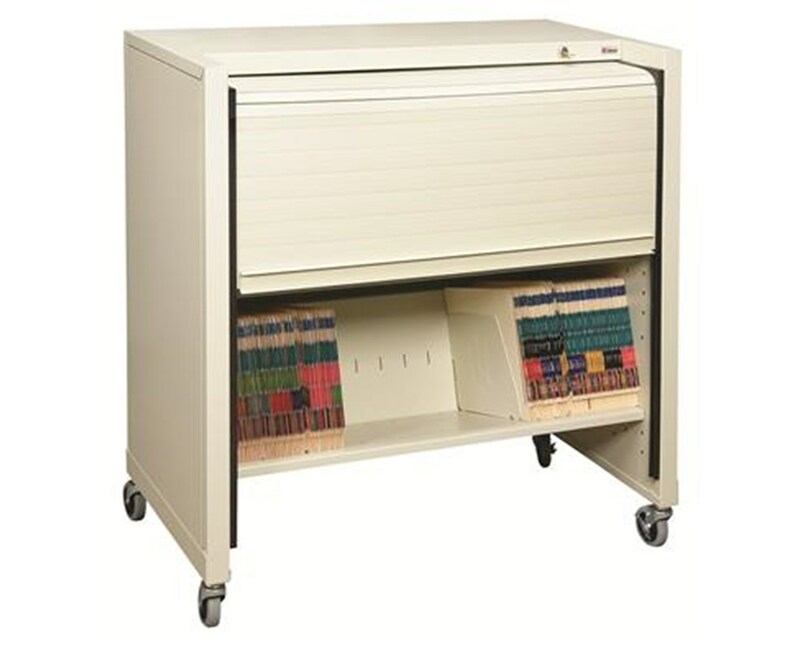 The Datum 2-Shelf FileCart™ with Locking Tambour Door is perfect for transporting and storing files in your office - plus, the locking tambour door ensures HIPAA-compliant security for your sensitive medical records and other items. With a generous 64 lineal filing inches (LFI), this Datum FileCart™ features two letter-size filing shelves and four adjustable dividers to help keep files and other materials neat and organized. The cart's angled shelves prevent files from falling out. The retractable locking tambour slides down with ease, protecting and securing the contents within. 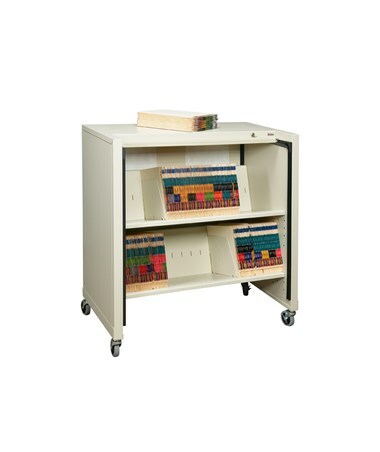 This deluxe file cart provides both fucnction and finish, - its sturdy steel top doubles as a convenient writing surface and/or work station, while 2 decorative steel end panels add a sleek, attractive look to your space. 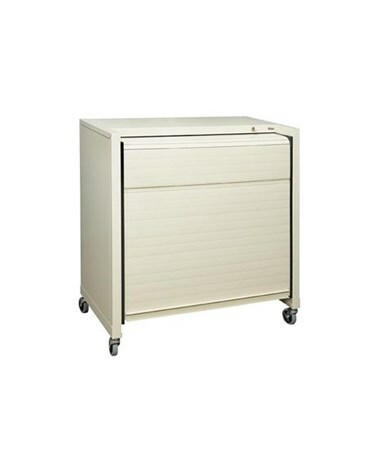 These Datum carts are designed for quiet operation - the plate-mounted, 3" hard rubber swivel casters (two free/two locking) eliminate that annoying rattle, and the solid construction eliminates the squeakiness often found in other carts - meaning no noise and distraction for your medical office staff every time the cart goes by. Sturdy top doubles as a convenient writing surface or work station. Decorative steel end panels provide a finished, sleek look for your work space. Quiet plate-mounted 3" diameter hard-rubber casters roll easily over indoor surfaces and doorways. Two letter-size filing shelves provide a generous 64 LFI. Four heavy-duty steel adjustable dividers. Datum FileCart™ with 2 Shelves and Locking Tambour Door.